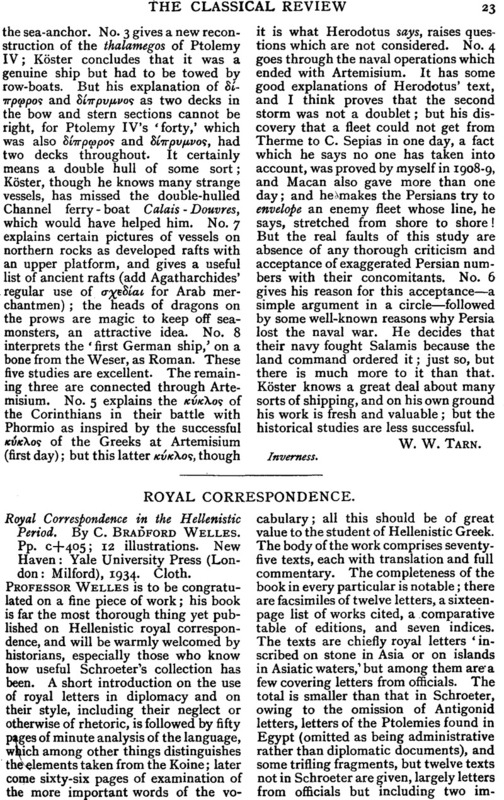 Royal Correspondence - Royal Correspondence in the Hellenistic Period. By C. Bradford Welles. Pp. c+405; 12 illustrations. New Haven: Yale University Press (London : Milford), 1934. Cloth.